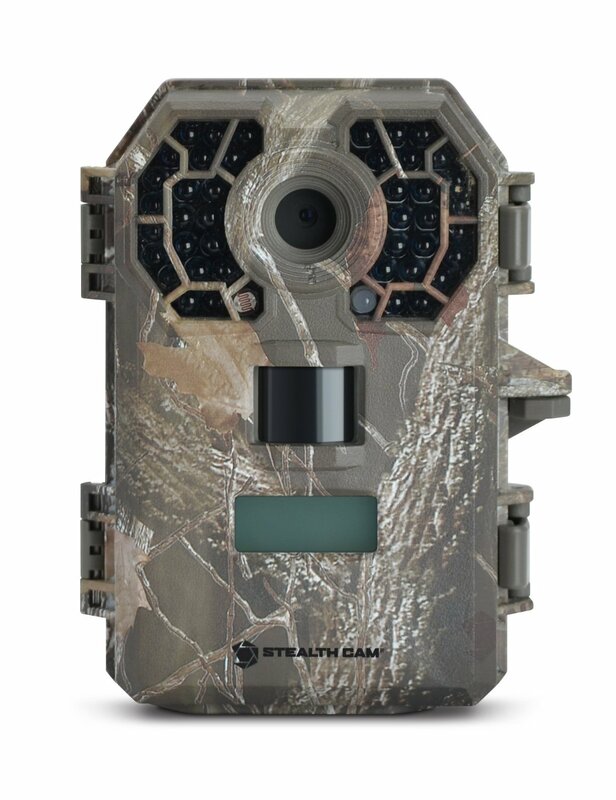 Stealth Cam might not be a brand that is as well-known as Bushnell, Moultrie or Nikon, but they have a fairly extensive range of scouting cameras and accessories available. 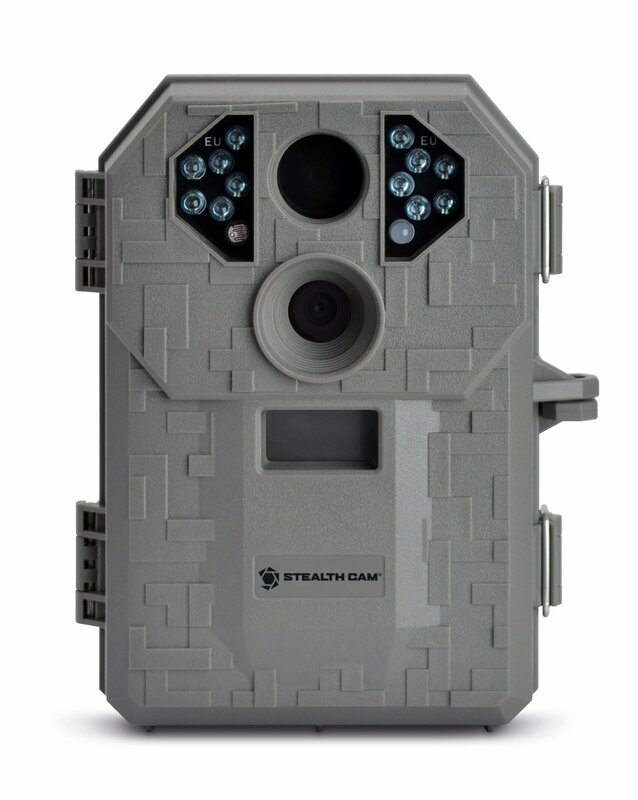 The Stealth Cam STC-E38NXT is one of their mid-range models when it comes to pricing and doesn’t skimp on any features. 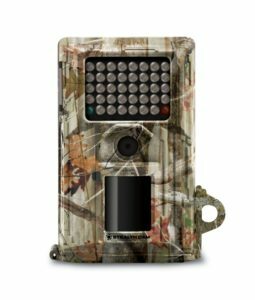 Check out what we think of this scouting camera to see if it is a worthy alternative to the bigger brands. Scouting cameras have been becoming smaller while packing more features and thankfully the STC-E38NXT also embraces the “smaller is better” credo. It features a very portable design, which in conjunction with its Realtree cammo pattern ensures that it seamlessly blends into the environment when mounted. The camera is sealed inside a durable case that is weather resistant, so you can leave it up even in bad weather without fear of returning to a damaged or malfunctioning unit. Initially I was a bit concerned about durability as the display and buttons of the STC-E38NXT is mounted on the side of the device. While this does make it easy to program the camera it also raises some concerns about the security and durability of the device. If you place your camera in areas where critters such as bears can get to them then the STC-E38NXT might not be your best bet. I didn’t encounter any issues with the side mount design of LCD and buttons while testing it, but it is something to keep in mind. The STC-E38NXT unfortunately does not support tripod mounting, but can be mounted using a strap, Python lock cable or articulating ball point mount. It is compatible with SD cards that range from 2 GB to 32 GB and is powered by 8 AA batteries. The battery chamber and SD card slot or located at the bottom of the camera making them securely tucked away. You’ll also notice a USB port and external power port here which allows you to connect an optional 12V battery. Stealth Cam promises that the STC-E38NXT is able to deliver high end features without the associated high end cost, so let’s take a look at what it has. The STC-E38NXT features an 8.0 Megapixel camera, but to save some space on the SD card it can also be set to take images at 3MP and 1.3MP if you wish. The camera can capture color images during daytime and black and white images at night. When set to burst mode the camera can take between one and nine images per triggering and has a very short recovery time. It is also able to capture high definition video with audio and you can adjust the length of the recordings. The maximum video recording time is 300 seconds which is more than enough to capture footage of whatever it is that triggered the camera. The video recording supports time code, moon phase and temperature stamp. In addition, the camera can also be used in time-lapse hybrid mode. The STC-E38NXT is equipped with 38 Clear IR emitters which give it a range of about 60-feet. As this unit is part of the E-series it has a faster ZX7 Gen 2 processor. What this translates to is faster trigger speeds, allowing you to capture those elusive fast moving bucks more reliably. This unit also boats improved battery life. The STC-E38NXT is definitely designed with ease of use in mind which makes it a great starting point for anyone unfamiliar with scouting cameras. It has a long list of pros as can be seen below, but thanks to the external placement of the LCD and controls I would not want to leave the camera up somewhere that it can be spotted and tampered with. Also if you are looking or a scouting camera that is able to deliver great nighttime photos the grainy images captured by the STC-E38NXT will be a disappointment. The LEDS can be noticeable under certain conditions. If you need video, still images and time lapse support all in one then the STC-E38NXT is an affordable solution. The external LCD and buttons make it very easy to program the camera out in the field, but also makes it more susceptible to damage and tampering. I really like the fact that the camera operates using easy to find AA batteries and is able to offer decent battery life to boot. The trigger speed is also very good considering the price of the camera. While I really liked this camera I still prefer the security of cameras with the controls safely tucked away inside the case over the convenience of having them mounted on the outside.